RV-Dreams.com Home -> RV-Dreams Community Forum -> Campground Discount Programs & Memberships -> Passport America New Members Can Get Three Months Free! TOPIC: Passport America New Members Can Get Three Months Free! 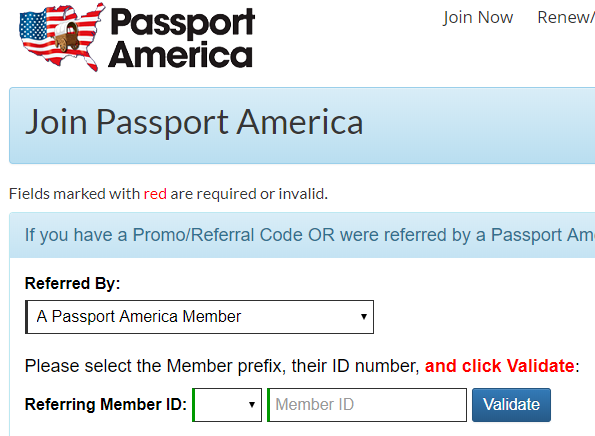 Passport America New Members Can Get Three Months Free! Today started another Passport America member referral program. This time NEW members get THREE MONTHS FREE! IF you are already a Passport America member, YOU can refer others. In addition to your friends getting three months for free, you will get $10 cash for every NEW member you refer that signs up using your membership number between November 1 & December 31, 2018, PLUS you get an extra three months added onto your current membership. They do these referral programs all the time, but each time the benefits for referring members and new members are always a little different. So, if you've been considering a Passport America membership, now is a great time to sign up. OR, if you are already a member and a fan of Passport America, now is one of the better times to invite your friends to join. Happy Camping! Hmm. Others have been able to sign up. 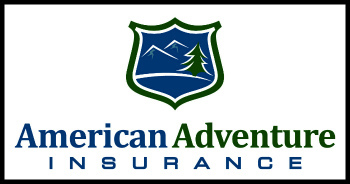 You should see the following where you select Referred by a Passport America Member and then enter our membership number C-342286 with the C in the "prefix" box and the number in the Member ID box. Asking for the "prefix" is something new, as they've just asked for the number in the past. That may be causing an issue if folks include the "C" in the Member ID box. Sorry for your trouble.